Our first interview of 2017 comes courtesy of you the readers. For this interview, I went even further into the world of fashion specifically fashion editing. 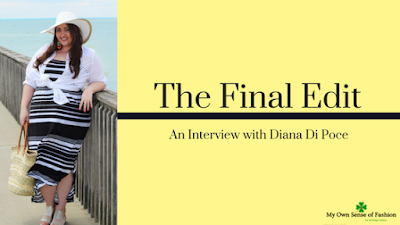 I had a chance to chat with Diana Di Poce. 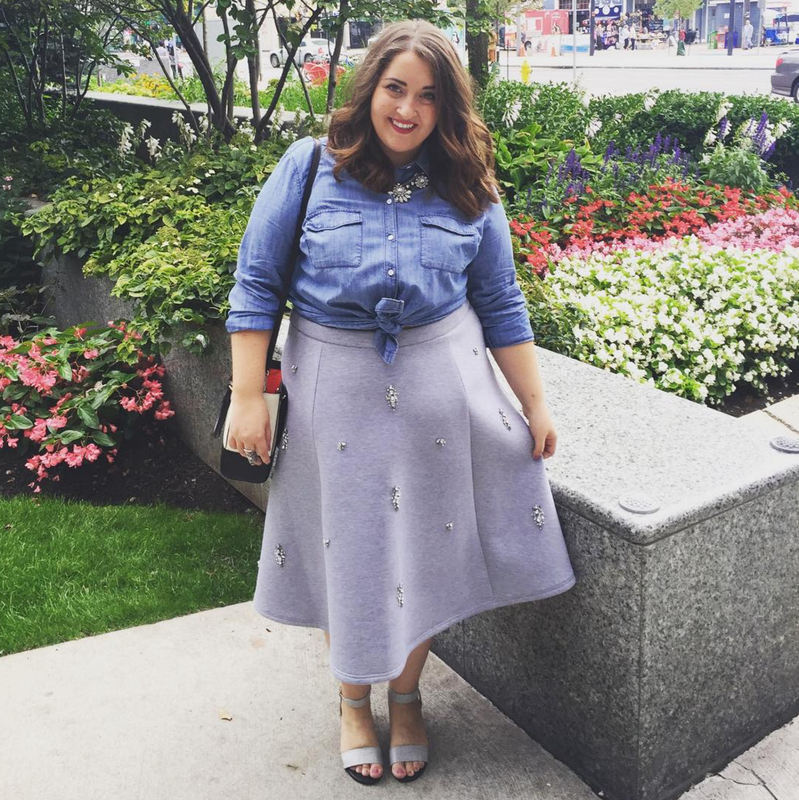 She is the Founder and Director of DARE Magazine, the Canadian plus size magazine. On a break from her busy schedule, we discussed various topics including how she got her start, the magazine and much more. Check out our interview below. 1. First off can you tell our readers a little more about yourself? I’m Diana Di Poce—the founder of DARE Magazine, Canada’s plus size fashion magazine. With an Honours Bachelor of Design Degree in Fashion Communication from Toronto’s Ryerson University, my expertise and passion lie in art direction and both print and digital editorial design. In 2013, as part of my thesis project, I combined my skills and love of curves to launch DARE Magazine, and have since continued to pursue my dream of producing Canada’s digital go-to guide for plus size fashion and beauty. Aside from DARE, I am a wife, daughter, and aunt to five beautiful nieces, whom I adore! 2. You founded DARE Magazine in 2013, how would you say working with other publications helped in creating your own digital magazine? Working with other publications before launching DARE Magazine helped me immensely. Through working with the art, styling, editorial and sales departments at several publications, I gained the necessary experience to produce my very own magazine. My work experience helped prepare me for what was to come in the near future: DARE Magazine. 3. What would you say is a common misconception about fashion editing? In terms of fashion photography, a common misconception is that all magazines retouch models in order to hide all of their “imperfections”. This, however, is not the case for all publications. Although we do make some edits in order to enhance our photos (lighting and exposure, for example), we do not alter or retouch our models, as DARE Magazine focuses on celebrating curves. Over time, I believe we will continue to see less retouching in the pages of magazines and in media. 4. 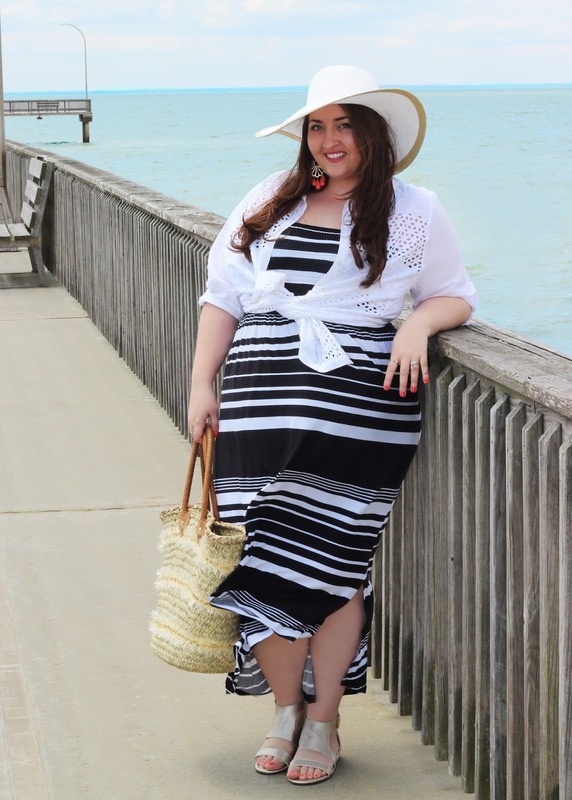 DARE is a go-to guide for plus size fashion, beauty and so much more. What is it that sets your magazine apart from similar magazines currently on the market? DARE Magazine is unique in its messaging and aesthetic. Although the magazine is targeted towards plus size women, our mission is fashion first, which is why we stray from using terms such as plus size, curvy, voluptuous, etc., on a constant basis. We want our readers to be drawn into the magazine through the fashion featured, captivating content and striking editorials. Our groundbreaking hashtag #DAREtoWear also makes a statement. This movement inspires women to #DAREtoWear clothing they wouldn’t normally wear. Whether it’s baring a little extra skin, sporting your first bikini or rocking a new trend, I find so much inspiration and happiness from browsing through our readers’ posts. 5. You have worked with a lot of great brands already. Who is your dream collaboration and why? Through DARE Magazine, I have had the opportunity to work with leading plus size brands and retailers who have introduced plus-size lines. I hope to continue to make a mark on the industry with future collaborators! 6. Lastly, where can people find you and DARE Magazine online? DARE Magazine is available online only, at www.daremag.ca. Stay tuned for our Spring Issue, launching this March. 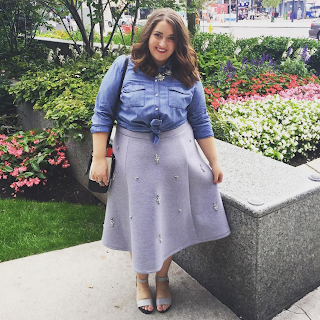 Follow us on Instagram @daremagcanada for the latest in all things curvy! Share your daring outfits using #DAREtoWear for the chance to be featured. Special thanks again to Diana and be sure to find DARE Magazine online. Did you enjoy this interview? Who should we interview next? Let us know in the comments. Very nice!! great interview and she is very beautiful.